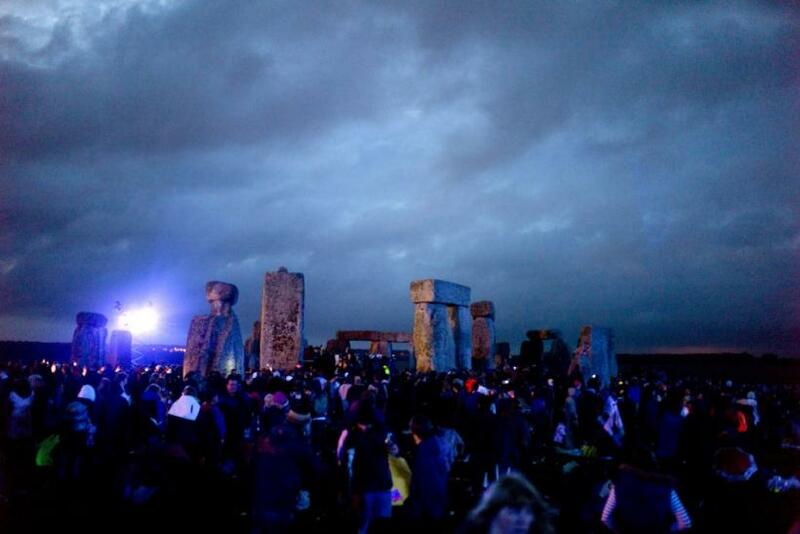 Revellers surround the ancient Stonehenge monument prior to the summer solstice on Salisbury plain in southern England. Photo: Reuters. Today is the summer solstice, marking both the longest day of the year and the much-awaited start of summer. Google has taken the opportunity to celebrate the work of Japanese artist Takashi Murakami with a new doodle, an explosion of color over cartoon-like figures of animal faces and anthropomorphic flowers. Murakami's style often draws upon similar themes. It is characterized by vibrant colors and stylistically draws upon themes and images from popular culture, something reflected in the proliferation of faces invoking popular cartoons filling his work. His work is known for blurring the line between art and commercialism, and he said in an interview with Artinfo that the distinction between the two is artificial. Japanese people accept that art and commerce will be blended; and in fact, they are surprised by the rigid and pretentious Western hierarchy of 'high art,' he said. In the West, it certainly is dangerous to blend the two because people will throw all sorts of stones. But that's okay -- I'm ready with my hard hat. The summer solstice occurs because the earth's angle tilts it so the sun directly hits the Northern Hemisphere. This means that it is the brighest day of the year, but not the hottest -- it takes time for the sun's rays to heat things up, which means the hottest day of the year usually falls later in the summer. The solstice is also sacred for some pagan religions, notably the Druids. Very little is known about the ancient Druids, who left little record of their beliefs or history, but attempts to resurrect their practices informed the neo-Pagan movements of the 19th century. Every year Druids gather at England's Stonehenge to watch the sunrise, seeking continuity with practices that may have occured before the advent of recorded human history.